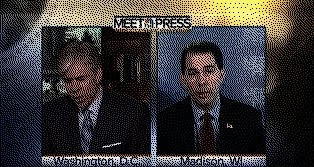 Walker to Fleebagging Democrats: You've Got 24 Hours. Make That 23 Hours and 59 Minutes. Time is up for the fugitive Democrat state senators from Wisconsin, who are also known as the Fleebaggers (which is the term they prefer, I'm told). Governor Scott Walker has thrown down the gauntlet. Republican Gov. 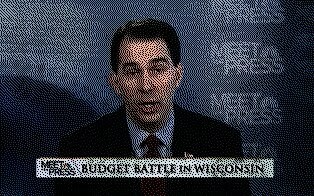 Scott Walker on Monday gave absent Democratic lawmakers an ultimatum to return to Wisconsin within 24 hours and vote on a proposal to reduce the power of public sector unions or the state would miss out on a debt restructuring. ...The proposal was approved by the state Assembly last week but is stalled in the Senate because the 14 Democrats have fled the state to avoid a vote... The proposal includes a restructuring of the state's debt that Walker said would save $165 million. Walker said this restructuring deal was in doubt if the Democrats did not return. "Failure to return to work and cast their votes will lead to more painful and aggressive spending cuts in the very near future," Walker's said in a statement. If the budget bill isn't passed before the deadline, more than a thousand state employees will lose their jobs. And that will be the Democrats' choice. Hat tip: Memeorandum. Linked by: Michelle Malkin. Thanks! According to Karl Marx, the following ten elements were requisite conditions for "a transition from capitalism to communism." 1. Abolition of property in land and application of all rents of land to public purposes. Washington Examiner: The great Obama land grab: "White House officials have been meeting quietly with environmental groups to map out government plans for acquiring untold millions of acres of both public and private land... The federal government, as the memo boasted, is the nation's 'largest land manager.' It already owns roughly one of every three acres in the United States... This is apparently not enough." 2. A heavy progressive or graduated income tax. National Taxpayer Union: The top 1% of taxpayers already pay 40% of all income taxes. The top 5% pay 61% of all income taxes. And the top 25% pay 87%. The bottom 50% pay 3% of all income taxes. 3. Abolition of all right of inheritance. USA Today: "Estate tax to return in 2011, and it could hurt ordinary folks." 4. 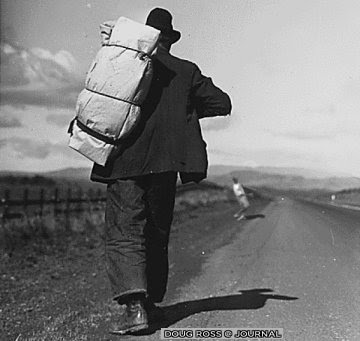 Confiscation of the property of all emigrants [those leaving the country] and rebels. New York Post: The President's new jobs-killer: "...President Obama explicitly targeted the industry for two massive tax hikes. First, he'd ban oil and gas companies from using the 'Section 199' tax credit, a measure for domestic manufacturers enacted in 2004 to boost US employment... Second, he wants to end 'dual capacity' protection for US energy firms... Without this shield against double taxation on foreign revenues, American companies would be competing on an uneven global playing field... Yet, by the federal government's own economic model, these tax hikes would lead to huge, immediate job losses." 5. Centralisation of credit in the hands of the State, by means of a national bank with State capital and an exclusive monopoly. New York Post: Democrats, Fannie Mae still issuing subprime loans, even after meltdown. And CNS News: Obama to Nationalize Student Lending with Pending Budget Bill. 6. Centralisation of the means of communication and transport in the hands of the State. Tom's Hardware: "Bill Allows Obama Power to Shut Down Internet." And "Advertisers on talk radio targeted by Congressional investigations." And "In an exclusive interview with Rolling Stone Magazine, President Obama made the extraordinary claim that Fox News is 'destructive to [America's] long-term growth.'." 7. Extension of factories and instruments of production owned by the State; the bringing into cultivation of waste-lands, and the improvement of the soil generally in accordance with a common plan. National Legal and Policy Center: "Obama Arranges Takeover of GM and Chrysler; Auto Workers Union Gets Huge Stake." And Discover: "New EPA Rules Clamp Down on Mountaintop Removal Coal Mining." And News 9 Oklahoma: "EPA to Crack Down on Farm Dust." 8. Equal liability of all to labour. Establishment of industrial armies, especially for agriculture. Wall Street Journal: "SEIU’s Stern Tops White House Visitor List." More recently: "The AFL-CIO's Richard Trumka talks to the White House every day." And "Obama’s OFA, Churches Join Democratic Socialists for Saturday March in Washington." 9. 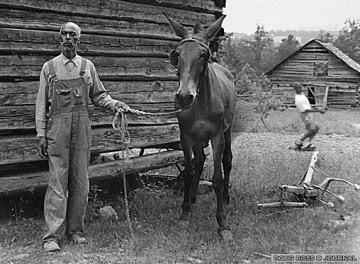 Combination of agriculture with manufacturing industries; gradual abolition of the distinction between town and country, by a more equitable distribution of the population over the country. Heritage: "The Clean Water Restoration Act Means Troubled Waters For Property Owners": "...The Waxman-Markey global warming bill is far and away the most worrisome environmental measure currently working its way through Congress, but it is certainly not the only cause for concern... S. 787, the Clean Water Restoration Act (CWRA)... would do much more harm than good, especially for farmers, ranchers, developers, energy producers, and other property owners." 10. Free education for all children in public schools. Abolition of children's factory labour in its present form. Combination of education with industrial production. : Reuters: "Obama says public employees should not be vilified." New York Sun: "Obama Tells Teachers Union He Opposes Vouchers." And Big Hollywood: "[Teachers' Union] NEA: Obama’s Ministry of Propaganda." Now, given all of these parallels, can there be any doubt what Barack Obama meant when he twice proposed, "a civilian national security force that's just as powerful, just as strong, just as well-funded" as our military? The Obama-Democrat Left has mounted the first successful counter-revolution -- against the American Revolution -- in our history. Using an incessant series of attacks by a fifth column, the intent of the counter-revolution is to eradicate the effects of the American Revolution. Of that there can be no doubt. Transformed by a beaming smile, this is the tiny face of a foetus just 17 weeks old. 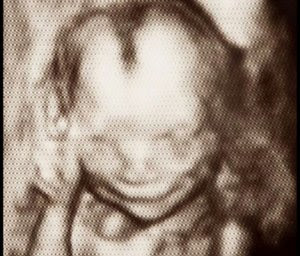 Professor Stuart Campbell, who took the picture at his London clinic with 3-D and 4-D scanning equipment, said it did not necessarily show the unborn child had feelings – but it was certainly displaying human behavior. The scan implies that a baby can experience feelings such as happiness and pain much earlier in its development than previously thought. It will prompt further calls from doctors and campaigners to lower the upper abortion limit from 24 weeks. Shhh... no one tell Mitch Daniels. 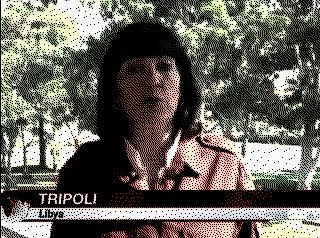 AMANPOUR: This morning, we'll take you on a journey into Libya to visit my close personal friend Colonel Gaddafi and interview his two sons. What do they think of my new haircut? My weathered looking L.L. Bean journalist's vest? And my Estee Lauder makeup, guaranteed to hold up for 24 hours, even during an Islamist uprising? 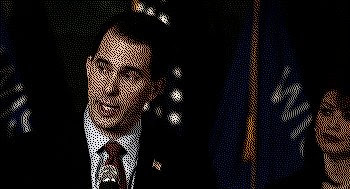 Closer to home, we'll also visit with Governor Scott Walker, whose controversial strategy of making state employees chip in to their pension plans has touched off rallies nationwide, including some by President Obama's elite Praetorian Guard. Back to Libya: after weeks of silence President Obama finally asked Colonel Gaddafi to step down saying that it was "in the best interest of my poll numbers." Saif Gaddafi, what do you think of that? 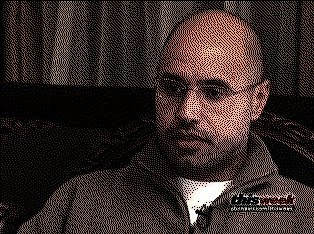 SAIF GADDAFI: Yes, I saw it on TV. I think the show was called Welcome Back, Carter. Let me try and describe how little we care what President Training Wheels has to say: put it this way, I watch Celebrity Rehab with a lot more interest. As for the accusations of violence: show me one person who has complained about being killed! Just one! 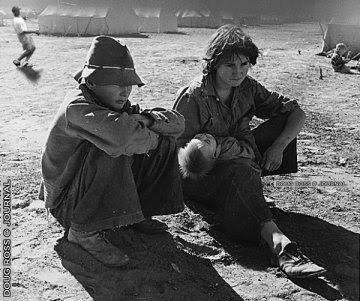 AMANPOUR: In the past, you've been described as a reformist tyrant, one open to new ideas of mass-murder and killing. What went wrong? SAIF GADDAFI: We haven't implemented our reforms fast enough! Our free health care system, GaddafiCare, doesn't really start kicking in until 2014. And some people expressed concern about that, may they rest in peace. SAADI GADDAFI: Christiane, I love what you've done with your hair! And are you wearing that new 24-hour makeup from Estee Lauder? AMANPOUR: Now, in an unusual turn of events, we're going to switch to our sister network -- NBC -- and it's news show Meet the Press, where David Gregory is standing by. GREGORY: Thanks, Christiane. We're here with Wisconsin Governor Scott Walker who stands at the center of a storm that pits him against the powerful public sector unions. Governor, why aren't you giving in on collective bargaining since they've generously agreed to chip in to their retirement and health care plans? WALKER: David, is it okay if I call you schmuck? Okay, schmuck, we have a $3.6 billion deficit and I've resolved not to kick the can down the road, got it? Even today, the unions are rushing to school boards trying to jam through contracts that have zero contributions to their health care and pension plans. And at least in one school system, they're pushing through salary increases as well. GREGORY: But Governor, the unions have agreed to those contributions, why not accept that? Or are you just a right-wing teabagger like our sister networks, ABC, CBS and MSNBC insist? WALKER: Schmuck, the two statewide union leaders who made the offer don't have anything to do with the 1,000-plus municipalities, 424 school districts and 72 counties. We're trying to protect all of the taxpayers at every level of government -- and a state union leader can't do that. The unions do things like try to force school districts to buy expensive insurance through their own company -- WEA Trust -- which costs $70 million more than if they bought it on the open market. GREGORY: Dammit, man, what’s wrong with collective bargaining? For the love of God, why are you trying to destroy the working man in this country (sobbing)?? WALKER: Uhm, schmuck, let me guess: you weren't a math major. I spent eight years as a local official trying to get modest changes to pension and health care through. And because of collective bargaining, unions were able to refuse time and time again, daring me to lay off 400 or 500 people. And in this kind of economy, how can any official do that? How can part-time officials in tiny districts negotiate? We have to destroy collective bargaining for these benefits, because the fiscal time-bomb is ticking. In fact, if Senate Democrats don't return, we're going to be forced to make thousands of layoffs in a terrible economy. GREGORY: You got punk'd by a prank caller, which was rilly, rilly funny, and you said that you wanted to emulate Ronald Reagan and his dismissal of the striking air traffic controllers. What is up with that, dude? WALKER: Is it okay if I call you dumbass now? Anyhow, dumbass, we've kicked the can down the road year after year after year. We can't do it any more, Einstein. We're broke. We have to stand up and confront the problem. Got it, genius? GREGORY: But... but... what about collective bargaining? Why are you trying to emasculate the unions? Whyyyyyyyyyyyyyyy? WALKER: Dumbass, didn't I answer that question, like, ten minutes ago? Collective bargaining has a cost, which your tiny pea-brain can't seem to comprehend, and the local governments need help in negotiating. Got it, this time, Sparky? GREGORY: Are you needlessly dividing your state? WALKER: Are you marketing Democrat-Union propaganda? GREGORY: You can't answer a question with a question! What the hell! WALKER: Okay, dumbass: those 14 state senators need to come back and do what they were elected to do. To do their job. GREGORY: And if they don’t–if they don’t, Governor, how does this end? What's your prediction for the outcome? Courtesy Tyler Durden, we discover this enlightening interview (PDF) with economist Marc Faber -- who isn't called "Dr. Doom" for nothing. I think we are in a money-printing environment. If something happens in China, they will print even more than the U.S. prints. If something in happens in Europe, they will also print money. ...[On government holding inflation (CPI) artificially low] But you understand, you are not really helping the economy, you are impoverishing, let’s say, the honest people who are decent, who have deposits, who save money and keep it in the banking system, who simply do not want to speculate. So, it is a tax on people’s savings, and it is a very vicious tax, because it is not so obvious to them, but it will become obvious one day, when with their money they can buy less and less. In other words, the purchasing power of money goes down. That is why I am telling everyone, if you already own cash, consider gold and silver to be a component of your cash portfolio, and own some of it, because the government can appropriate it, but otherwise they cannot fiddle around with it in terms of increasing the supply. ...I think we are all doomed. I think what will happen is that we are in the midst of a kind of a crack-up boom that is not sustainable, that eventually the economy will deteriorate, that there will be more money-printing, and then you have inflation, and a poor economy, an extreme form of stagflation, and, eventually, in that situation, countries go to war, and, as a whole, derivatives, the market, and everything will collapse, and like a computer when it crashes, you will have to reboot it. If I interpret Faber correctly, you're better off holding precious metals than equities... and better off holding equities than U.S. debt. Which says a lot about the policies of the current administration, Tiny Tim Geithner and Helicopter Ben Bernanke. Newly released FBI files obtained by Judicial Watch reveal that the late Senator Ted Kennedy was quite the twisted leftist. Judicial Watch, the public interest group that investigates and prosecutes government corruption, announced today that it has obtained previously redacted material from the Federal Bureau of Investigation (FBI) file of the late Senator Edward “Ted” Kennedy, who died in August 2009 from brain cancer. Judicial Watch obtained the records pursuant to a Freedom of Information Act lawsuit originally filed on June 9, 2010 (Judicial Watch v. FBI (Case No. 10-963)). Kennedy had a troubling history apart from these incidents and, of course, Chappaquiddick. In 1992, after the fall of the Soviet Union, KGB files revealed that Kennedy had twice approached Soviet leaders with proposals that would boost his political aspirations while undermining American national security. 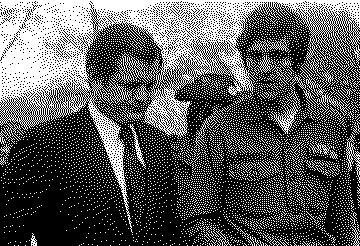 In 1978 Kennedy reportedly used a go-between to establish a relationship with the KGB in order to sabotage President Jimmy Carter's foreign policy efforts. Kennedy, of course, was interested in running against Carter in the 1980 primary. Furthermore, Kennedy approached the Soviets with an offer to help undermine Ronald Reagan's 1984 presidential reelection campaign. Kennedy proposed a public relations blitz and mentioned his friends -- Walter Cronkite and Barbara Walters, by name -- as willing to assist in the propaganda effort. That Kennedy is held out as some sort of heroic Democrat figure is an outrage. But it shows just how far afield the Party of Weakness and its media sycophants have wandered. In the words of James Taranto, Mary Jo Kopechne could not be reached for comment. Linked by: Michelle Malkin, Ace o' Spades, Memeorandum and Neptunus Lex. Thanks! Today's Larwyn's Linx sponsored by: Please Support the Senate Conservatives Fund. QOTD: "...according to a protester from inside the Capitol, the police union members ... threatened to disobey any future orders to clear protesters from the building, currently expected to take place at 4 p.m. on Sunday, February 27... To the extent [that the police] wished to participate in the political process, that was fine, [but they] went much further [suggesting they] would disobey the Governor. The announcement by the police union members that they would refuse an order from the legislature to evict the protesters from the building also went far beyond mere political speech. ...More than anything, this shows the dangers of public sector unions. Those who work for the state occupy a different position than those who work in the private sector because they carry the weight of state authority. When those state workers are in law enforcement, they carry special obligations not to use their positions for political purposes. KPCB's Mary Meeker has created an extensive report (266 pages) on America's fiscal condition, evaluated as if it were a business. The resulting picture is, to put it bluntly, disturbing. By the standards of any public corporation, USA Inc.’s financials are discouraging. True, USA Inc. has many fundamental strengths. On an operating basis (excluding Medicare and Medicaid spending and one-time charges), the federal government’s profit & loss statement is solid, with a 4% median net margin over the last 15 years. But cash flow is deep in the red (by almost $1.3 trillion last year, or -$11,000 per household), and USA Inc.’s net worth is negative and deteriorating... the trends are clear, and critical warning signs are evident in nearly every data point we examine. This analysis can’t ignore our dependence on entitlements. Almost one-third of all Americans have grown up in an environment of lean savings and heavy reliance on government healthcare subsidies. It’s not just a question of numbers – it’s a question of our responsibilities as citizens…and what kind of society we want to be. Linked by: The Astute Bloggers. Thanks! Larwyn's Linx: Hang Tough, Governor Walker!